Here is how to resolve the error and get sfc /scannow to run again. You can try to run this from an elevated command prompt either in normal or safe mode but if required you may need to run it from the Windows Recovery Console. As before you may need to do this in safe mode particularly if the reason for running this command is because the computer has been infected with a virus or malware. Typically Error 87 occurs when spaces are missed when entering the commands. Try copying and pasting the code from this page and giving it a go again. If you are having a pending repair issue because a Windows update failed (whether update to Windows 10 or one of the cumulative updates Windows 10 performs occasionally), the system thinks there is an update in process, that’s why error 87 happens. I wish I had a solution, but I am still searching for it myself. It completes the dism fine & asks to restart. However, I’m booting either from a DVD or USB of Win 10, so I doubt anything actually “takes” & I end up in a loop. I also tried letting it go to a normal boot & I end up at the same, black screen w/cursor– never get any further. SMART is not tripped & I was able to use Linux to move the important data before I began. 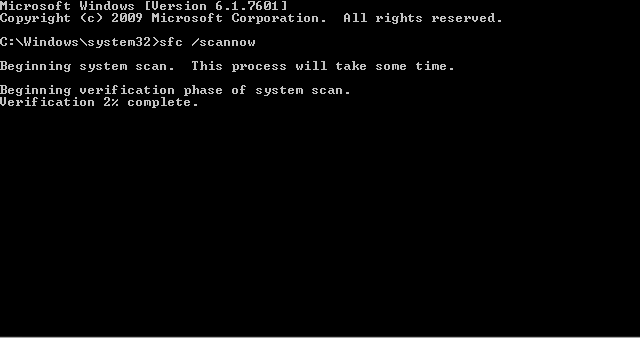 Checked my partition is correct (Diskpart) & run (at X:): sfc.exe /scannow /offbootdir=E:\ /offwindir=E:\Windows\ It tries to start sfc & then I get, “system repair pending”. I run the above dism cmd & it completes successfully & asks to restart. I do. Same thing. I tried it restarting w/o any recovery media & with- same thing in a loop. Chkdsk did find & fix empty space a long while back now (I think I’ve now been at this for over 5 hours, trying every, possible combo). I read posts about renaming the pending.xml file, but it doesn’t seem to work for me in 10. An error occurred while attempting to access the image. A Google search for DISM error 1017 turns up nothing useful. I get Error: 1017 (An error occurred while attempting to access the image). I know my “c” drive is actually “d” and have adjusted for it, so I don’t know why it isn’t finding it (infact I tried both c and d). This happens after running the DISM command. Here’s a log, in case you’re interested. I think I’m going to have to reload the OS, since nothing seems to work. I did and received error 2 scratch directory size insufficient. For scratch directory, set the TEMP and TMP environment variables to a disk that has some free space.